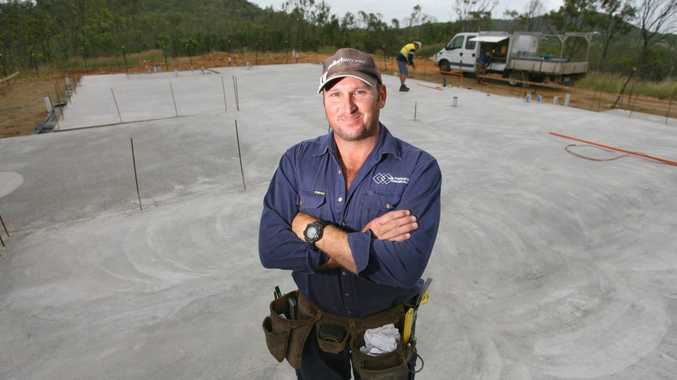 ROCKHAMPTON builder Darren Moore is having a field day this year, despite building approvals in Central Queensland slumping in February. And Mr Moore wants readers to know while business is booming for him, other builders are struggling to attract inquiries from potential home owners due to a lack of confidence. New Master Building figures show Central Queensland slumped from 258 residential building approvals in January to 158 in February. However, the figures for February show Central Queensland is still ahead of the regional pack - which includes Sunshine Coast, Darling Downs and South West Queensland, Wide Bay, Mackay, North and Far North Queensland - third only to Gold Coast and Brisbane. Mr Moore, who is the principal of Dr Moore Constructions, said his company's inquiry rate was excellent but he had heard it wasn't exactly the same for other builders. "A lot of people want to get something done and they want value for money," he said. "Plenty of people want to build something but they underestimate the costs involved to build it." Master Building CQ regional manager Dennis Bryant said figures in February had dropped because the region had come off a very high base in January. Master Builders Housing Policy director Paul Bidwell said regions like the Gold Coast, which are showing strong growth, are rising from very low bases.